Europe’s highest free-standing mountain is a demanding walk but rewards with huge all-round views. 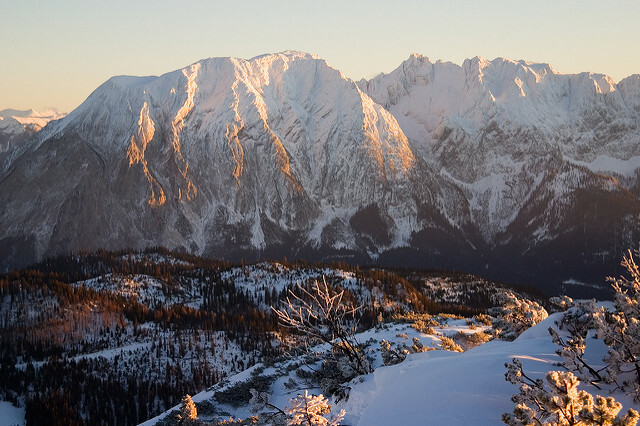 As Europe's highest free-standing mountain, Grimming to the east of the main massif is technically not part of the Dachstein: but it is well worth a climb for its huge 360° views. It is not the easiest walk: rough, exposed in places and nearly 1,700m of climb/descent; but it is a very satisfying one. Have a look at TripAdvisor - you should get good, current views on places to stay, eat etc in the area. 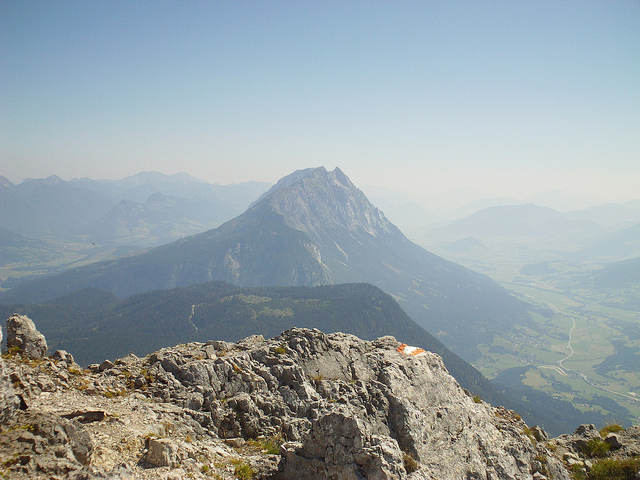 Walking in Austria - Kev Reynolds for Cicerone: more than 100 walks in the Austrian Alps, including in the Dachstein. As usual, an inspiring book, packed with valuable information, including good detail on the routes. As Austrian maps are good, it has less on each walk that some other Cicerones, but that is fine. Recommended. Find relevant books on Amazon. 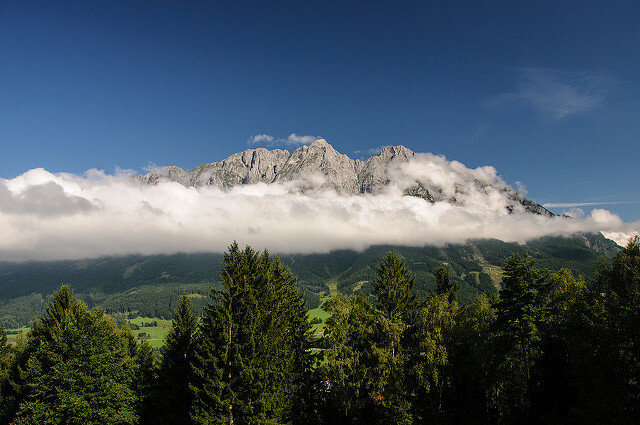 For more information and photos, including detailed practical information and some warnings, see our Dachstein walk page.